This is not your average semi-automatic weapon. 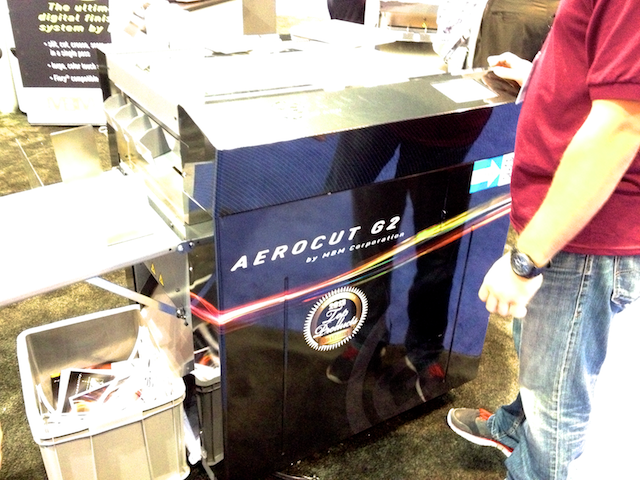 The MBM Bookletmaker Jr. has a deadly combination of features combined with a nice price. If you’re often making booklets 40 pages or less in your office and you’re looking for a quick way to process in-house rather than outsourcing, this little guy is for you. 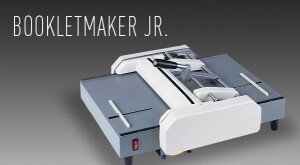 The Bookletmaker Jr. Semi-Automatic MBM Booklet Maker Jr. is an entry-level machine with space saving, compact design. The automatic paper centering, dual staple heads and fold rollers add to the speed of use, helping you crank out up to 250 sets an hour. It takes standard sizes (8 1/2″ x 11″ to 11″ x 17″) and you don’t have to go to the shooting range to practice.? The MBM Bookletmaker Jr. Semi-Automatic MBM Booklet Maker Jr. is $809 at Lloyd’s. We’ll throw in free shipping and a gift with your purchase.